Kids clothes/shoes/snow gear/coats/etc. in good condition. Even if they’re 2 sizes too big, KIDS GROW! I have a box or 2 for each of my kids to “grow into” and every spring and fall we bring it out and shuffle clothes around. Camping and Outdoor Gear–camping stoves, tent, fishing gear. I got a volcano stove and accessories at a yard sale once for $40, the one we bought new was $129 without any extras! Check out any tents to make sure they aren’t moldy from being put away wet, don’t have rips or tears or bad zippers, and DO have all their parts! Firearms and Shooting supplies (this is my dream yard sale!). It is unusual to find guns for sale, but every once in a while someone is wanting to sell one. We had a yard sale of our own once and someone asked if we had any guns, so it doesn’t hurt to ask even if you don’t see any. I have seen a trap thrower, reloading press/dies/scale, and boxes of shotgun shells. You just have to keep your eyes open. Old candles–light is always good, but even if you can’t use them for a candle, you can always melt them down for egg carton dryer lint fire starters or tuna can stoves. Sometimes you can even pick up unused oil lamps like these! 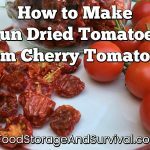 Canning and Food Preservation–canners, jars, canning tools, dehydrator, meat grinder, etc. 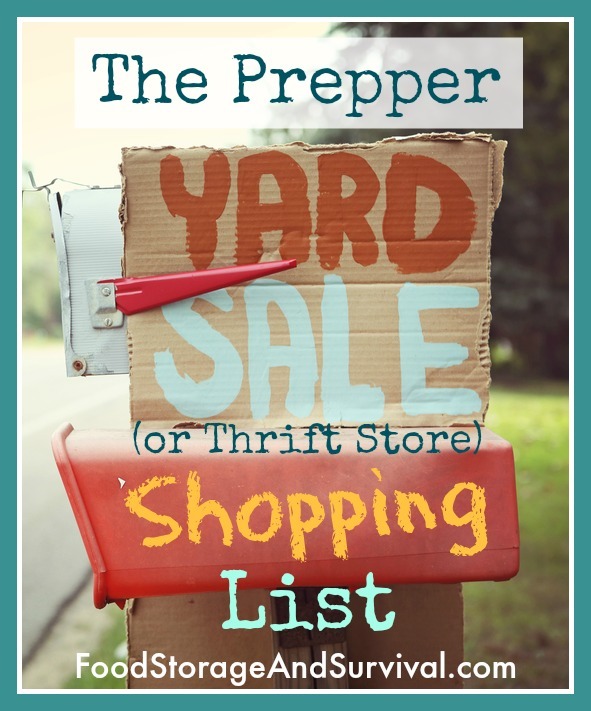 I’ve seen all of these and bought a lot of my own canning and food preservation gear at yard sales. NON ELECTRICAL entertainment. Like board games or puzzles. If the power’s out, you’ll need something to do–especially if you have kids! This is not a comprehensive list. Keep in mind any other gear you might be looking for at the time you hit the sale. At one point we were looking for an old wood stove. Now we found one and we’re looking for triple wall pipe to go with it so we can install it. 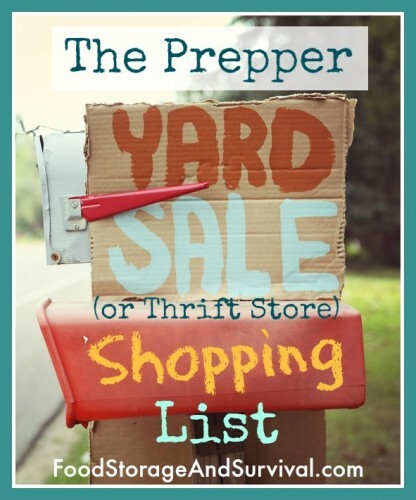 Click here for more tips on shopping yard sales! We need to find some good yard sales this year! Great idea! This is a great list! I don’t normally “do” yard sales, but I may have to start checking out the post-wide ones over here in Japan. Gotta figure when people are ready to move they are trying to “dump weight” and there could be some very handy things available. Megan, we might have to go to Price to make it worth the time :) Every once in a while there’s a good one in the county, but you can find 7 or 8 in Price the same day. And Melonie, moving sales are great! There are a couple of different kinds of yard sales: people who want to get rid of stuff and don’t care how much money they get for it, and people who are strapped for cash and are having a yard sale to make money. The first kind is better for finding deals, and the moving sales usually fit that category. I just picked up a 2 burner coleman stove thru free cycle this past month. Ilook there or post asking for canning jars also. My favorites at yard sales are hand tools and power tools, fishing gear, hardware, chains and scrap metal, propane bottles, kitchen gadgets, yard tools, and motor oil. Many of these things can be had at tremendous savings, and they’re very useful. The best buy I ever made was 36 pairs of Levi 517 jeans, two of them were never worn, plus two storage totes they came in, all for $7.00 From a preparedness standpoint, I think my metal ammo boxes were an excellent buy. http://www.self-reliance-works.com/2010/10/yard-sale-finds-sturdy-sealed-storage-units/ When I learned the seller only wanted 25 cents each, I bought all 18 that he had on hand. The scope of things that one might store in these boxes is fairly broad. They’re easily stacked, yet handy to take with you since they have two handles. And, they’re rugged enough to toss around.